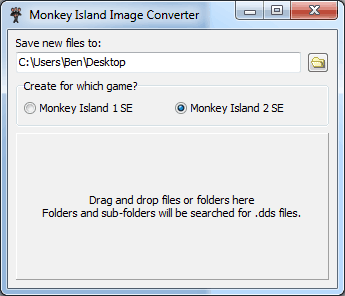 A program that allows you to convert .DDS images back into the .DXT format used in Monkey Island 1 Special Edition and Monkey Island 2 Special Edition. It will convert single files or multiple files inside a folder. It will recursively search subfolders for DDS files and place them into an equivalent subfolder when they are converted.